Keep reading to reveal the various information, tools and the video discussed in the session. When a search is performed, you are not actually searching all live websites. You are searching the portion of the web that Google has been able to find via their automated software – Spiders. Spiders function by following links on a website, both internal and external links. They index pages as they are able to find them through these links. How many times does the page contain these keywords? Do the keywords appear in the page title? Do the keywords appear in the page URL? Do the keywords appear on the page in the same order as typed into Google? Does the page contain synonyms for the keywords? Is the website the page is on high quality? Low quality? Spammy? What is the Pagerank of the page? This is a ranking, unique to Google that is largely determined by the quantity and quality of inbound links pointing to the page/website. It is important to remember that while it is just good sense to include keywords on your page that you believe your potential customers might use to find you, don’t be unnatural about it. Focus more on content that people would find useful, give search engines a helping hand, and they will figure out the rest. Do not stuff keywords on your website in a way that would appear unnatural to humans. It is also important to treat links the same way. You want to earn links, or find opportunities for links that make sense for your business. It is a bad idea to purchase a large quantity of links from someone, as they may end up on web pages that are low quality, or spammy. 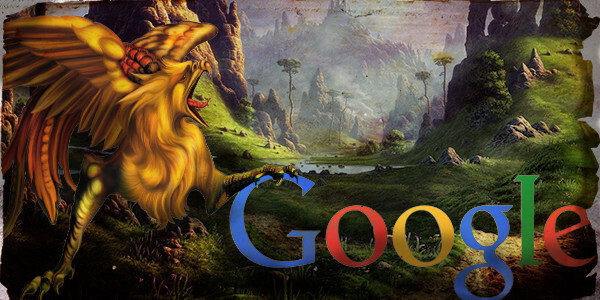 Google will likely ignore these links, and you may even find yourself penalized or banned for this practice. Be sure you have a properly filled out Google My Business profile. This is sometimes also referred to as Google+ or Google Maps. Click here to create a profile. Be sure to verify your profile, which Google often does by automatically dialing the phone number you provided to give you a verification code, which you then provide them. Sometimes they also send the verification code in the mail. Be sure the business name, address, and contact details on your Google My Business profile match what is displayed on other websites, across the web. This includes your own website. It is a best practice to include your business name, address, and contact details on your website… ideally on all pages, if possible. Consistent details helps Google trust the accuracy of your business details, and better understand your business. It can lead to increased search engine rankings. Proper category selection in your Google My Business profile is also an essential. A tip for doing this is to perform a local search that is relevant to your business. In the session, we used the example “financial planner London Ontario”. We scrolled down to the map results, which are the results that contain letters (A, B, C, D, etc.) with contact details beside them. Then, you visit the Google+ Page of the top results to see the primary category that is listed. If you find a category that is relevant to your business, take note of it. Also take note which category appears the most in these top results. If it is relevant to your business, I would strongly consider using that as your primary category. Keep in mind, that the categories you see may not actually be available anymore. From time to time, Google updates its business categories. It occasionally removes some, in which case it would no longer be available for you to select. You cannot request they add or modify categories, at this point in time. Sign up for at least one social media website. While it is ideal that you complete your profile fully & attempt to be active on that platform… it is also an easy way to include an inbound link to your website. Search for relevant directories. For London Ontario, a few commonly used directories include the LEDC business directory as well as Yellow Pages. YP will give you a profile with a link for free. Of course, they will try to sell you a premium listing. This is a business decision. While Yahoo does currently retrieve its local results from Yellow Pages, it is unlikely that buying a premium listing with them has any significant SEO value, in spite of what some of their sales agents sometimes say. The London Chamber of Commerce also has a business directory. You must be a paying member to be listed, but if you are considering becoming a member anyways, be sure to get yourself listed in their directory. It’s an easy/relevant link. Participating in content marketing such as social media, having a newsletter, or ESPECIALLY having a blog can help you earn links naturally. As you showcase your expertise and provide value to people, they may decide to share the content you provided or thank you on social media, or their own website. Google Mobile Friendly Test – Google has recently announced that it has begun implementing search algorithm changes that will have a major effect on searches performed on mobile devices such as smartphones & tablets. Though a website that ranks well on desktop searches may not be affected, Google has decided that its users want to see mobile friendly results when they search on mobile devices. As a result of this, a top priority for searches performed on these devices will be the mobile friendliness of the website. Do not let yourself under estimate the amount of searches that are done on mobile devices. At a digital advertising conference held on the same day of this information session (May 5th, 2015), Google announced that the MAJORITY of its searches in the 10 largest markets that utilize their search engine are actually done on mobile devices. Click here to access the Google Mobile Friendly Test. Google will give you some ideas on what to do, to improve your page speed. I recommend you provide this link to your web developer and ask what they suggest/what options are available. Sherry and I are both in the business of developing fully customized, responsive websites. Sherry specializes in the starter sites and I am a step up from that option. If you would like to discuss a website redesign that is fully responsive, please feel free to visit my website and contact me. Google Page Speed Test – Page speed (desktop & mobile) has also been identified as a factor of increasing importance in search engine results. Think of it logically. How do you feel about a website when you need to wait a long time for pages to load? This is why Google would much rather display results that have fast loading times. When other things are equal amongst you and your competitor, Google will rank your competitor higher in search results if their website loads faster. Generally speaking, 75/100 for desktop and 65/100 for mobile is a good score, but basically you want to get as close to those numbers, or exceed those numbers in the most efficient way possible. What I mean by efficient is you may uncover some changes that are not very time consuming for your developer to fix, and some may be very time consuming. Worry most about the simple ones, if you’re concerned about costs getting too high to justify. While Google does provide you with ideas on how to improve your page speed after performing the speed test on your website, I do suggest you leave most changes to a professional, as some of them can be complex. You can send the link to your current web developer, or fell free to contact me for more information. Sometimes, it can simply be a matter of being with the wrong web hosting company, or the wrong package within your current web hosting company. As an example, you can host a WordPress site with almost any package with any quality web hosting company. However, it does not mean their servers were designed to host WordPress sites in the most effective way possible. The comparison I used is to those who know/are a gamer. You might have a computer that works well for everything professionals need. You can watch YouTube, load Microsoft Word, browse & search the web, etc. However, if you tried to load and play some of the best modern games, your computer might not work well for that, as it wasn’t designed for that specific task. Gamers typically require different computers than professionals or students would. It’s the same way the servers at your web hosting company may not be best suited for hosting WordPress sites. You can consult with your current web hosting company for options. For WordPress, I’ve been testing out a company called WPEngine (Affiliate Link), and am happy with the results so far. In addition to faster page speed, I also like the protection they provide against malware and hacking, which can be an issue with WordPress sites. Essentially, they make the process of preventing these issues easy. The process of recovering from issues that result from exposed WordPress (or plugin) vulnerabilities is also made easy as well. Feel free to contact me if you are interested in migrating your site to WPEngine, as I may be able to offer you a discount on their posted rates. I also know that Godaddy offers Managed WordPress products too, which I also actively use. I also happen to be a Godaddy resller, so if you are interested in purchasing one of their Managed WordPress products, please feel free to click here if you want to support me. Sherry also offers hosting though a bulk WIBusiness hosting account that is a reliable, secure option. It is important for a small business owner to understand that when it comes to SEO and your website ranking, there are factors both on your website and off your website that affect your rankings. In the video mentioned earlier, some on site factors were mentioned such as mentioning keywords on your site, in your title, and in page URLs. In addition to having good titles and URLs that contain your keywords in a natural way, great content on your website is a must. It should be both people and search friendly. The content on your website should add value to the internet, as a whole. There are a number of off-site factors that also affect your ranking in search engines. A factor mentioned a couple of times earlier is the quantity of quality/relevant inbound links pointing to your website. In addition to that, another factor mentioned is consistent business and contact details around the web. This was only briefly touched on, and was just to create context. In terms of understanding local SEO basics, all details and factors do not need to be known and understood. However, you should understand there are both off and on site factors that affect your search engine rankings. In addition to the free content provided throughout the presentation, a few paid options were mentioned by Sherry and myself. Web Hosting Upgrade – This was mentioned earlier in the article, but please contact your web hosting company or Derrick for information on migrating your website to a specialized WordPress hosting package. On Site SEO Report – I typically start my client SEO relationships with an on-site SEO report. The price for this is currently $200, but I am giving a special offer to BBI members, and colleagues of Sherry Simoes. I will give you the same report for $125. It will outline top priorities that need to be fixed on your website. With the knowledge gained from the report, you can work on resolving these issues with your current developer, or you can request an estimate from me to fix the issues for you. Contact me for more info. This offer is also extended to BBI members who were not able to attend the presentation.